immediate recruitment of 450 men for the Narcotic Control Board (NACOB) to boost its fight against the illicit narcotic drugs trade. The recruitment, which is expected to be carried out soon, will be the biggest staffing in the history of the NACOB, after a similar exercise in 2006 and 2007 which saw the engagement of a total of 80 men on temporal appointment, who were largely based in Accra. However, the new recruits are billed to undergo specialized training, including weapon drills to help them in tracking, arresting and prosecuting drug traffickers. President Mills’ directive comes in the wake of massive collaboration between the NACOB, the Drug Enforcement Agency (DEA) of the United States of America and the Serious Organized Crime Agency (SOCA) of the United Kingdom (UK). These two foreign organizations have, in recent times, greatly assisted NACOB in smashing many drug networks in Ghana. 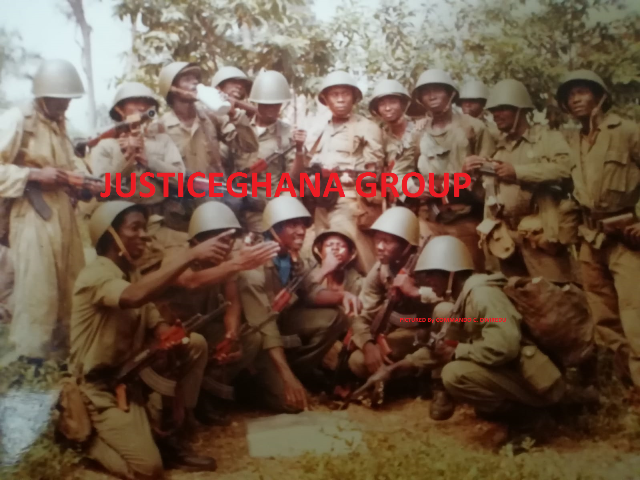 It was that teamwork that led to the arrest of Eric Manu, a staff of British Airways at the Kotoka International Airport (KIA). The recruitment of the 450 men, will eventually lead to all the ten regions having active zonal offices for the fight against drugs. Currently, there are very few NACOB offices in the country. The Kumasi office takes care of Ashanti and Brong Ahafo Regions while Tamale oversees Northern, Upper East and Upper West Regions. And the recruitment will help establish new regional office and to properly run the existing ones. Tenancy agreement for the Western Region office of NACOB was recently renewed, and it is very active due to the drilling of oil in commercial quantities there. The border town of Aflao in the Volta Region also has an office now, which is being manned by a retired operative of the Bureau of National Investigations (BNI). Officials at NACOB tell The Herald that the President is also expected to give financial clearance to the Board to acquire some logistics, enhance salaries and other remuneration packages for greater commitment in the fight against drug lords, who are more resourced financially and wield sophisticated mechanism, including weapons, and are outwitting anti-narcotic agencies. Presently, there is high morale in NACOB as a result of good leadership, which empathizes with the workers. The Board chaired by Captain (Rtd) Asaase Gyima also engages them regularly through the Executive Secretary, Yaw Akrasi-Sarpong. The July edition of the West Africa magazine quotes the NACOB boss as saying that inadequate resources are the biggest hurdle in the fight against drug traffickers. Despite the fact that NACOB under his leadership, appears more determined and committed to stamping out drug trafficking, “it doesn’t (NACOB) have the funds, resources, and personnel to effectively curtail the drug menace in the country”, he said. “Operating under the Ministry of Interior, NACOB does not have the powers of arrest and prosecution on its own. Even its officers are not allowed to carry arms, making sting operations and infiltration of drug gangs very risky ventures for its agents,” the magazine observed. Political rhetorics by successive governments notwithstanding, none has had the political will to review the laws establishing NACOB, to make it an autonomous agency with full enforcement powers, it said. If NACOB is made an autonomous body, the onus could be on drug traffickers (not NACOB) to prove that their assets were not acquired with drug money, thereby making it easier for NACOB to confiscate assets of convicted drug dealers. In so doing, NACOB would be self-sustainable, and it would have the funds to get the necessary resources needed in the fight against drug-trafficking. The consequences of the drug business on the political and socio-economic development of the country have been devastating, said the magazine. For starters, the image of the country has been badly tarnished by the arrests abroad of top Ghanaian personalities on drug charges, and the allegations of the use of illicit drugs by others. If the country is to redeem its battered image, the politicians and security officials involved in the drug trade, should stop their nefarious activities or be vigorously pursued, arrested, named and shamed, the magazine opined.